The Interbull Bulletin has become a well known reference for genetic evaluation of bovine cattle worldwide. It contains the state-of-the-art in genetic evaluation methods, as well as the most recent information on national and international implementations. Authors have an ideal forum to discuss new ideas and to challenge current genetic models. 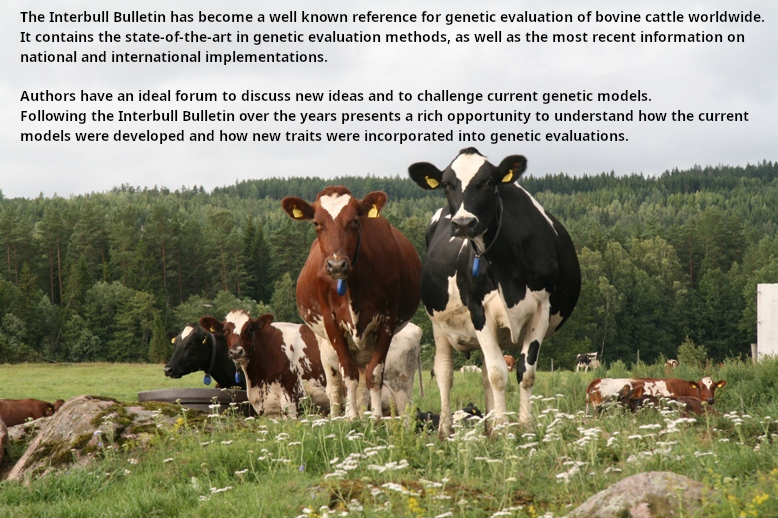 Following the Interbull Bulletin over the years presents a rich opportunity to understand how the current models were developed and how new traits were incorporated into genetic evaluations.